Hello and happy start of a new week. Is anyone else dragging just a teeny bit? Brands taking part in the new mall that may be of interest to our crowd include Brooks Brothers, Hanes, Elaine Turner, Hanky Panky, Lacoste, Tommy Hilfiger, Hickey Freeman. eBay claims almost 200 other brands however (more on that number later), most of them ‘household names,’ from off-price department stores like Neiman Marcus Last Call to run of the mill retailers like Elie Tahari, Bruno Magli, Fossil and Hush Puppies. Luxury department store operator Neiman Marcus is shutting its eBay Inc store, a setback for the e-commerce company, which has been trying to lure large retailers to its online marketplace. Neiman launched a store on eBay.com in 2011 for its Last Call outlet brand. It was one of a slew of large retailers that eBay has attracted to its online marketplace in recent years, an important part of the e-commerce company’s effort to compete more with Amazon.com Inc. The story notes Neiman’s will be selling deeply discounted merchandise on its own Last Call site. The retailer has upgraded the Last Call website substantially, so it makes sense to sell via their own means. eBay gets a cut every time Neiman’s sells merchandise via eBay’s site, why keep putting money in eBay’s pocket? As it turns out, many of the upscale brands initially associated with the ‘Outlet Mall’ no longer seem to be participating. For example, this is what one saw when visiting the Brooks Brothers’ eBay store back in 2011. A quick check for the Brooks Brothers store turns up nothing, they no longer seem to be part of the eBay Designer Outlets. Nor could I find Lacoste, Elaine Turner or several other “luxury” names. However, Bobby Jones and Calvin Klein are still present, as are Bruno Magli and Tahari. My guess is that there will be fewer and fewer brands remaining as part of the eBay endeavor, it just doesn’t make sense to pay eBay when you can dispose of the goods yourself via your own means without handing over part of the profits to a third party. With FEED, Target is going the more minimalist, feel-good route with a collection launching June 30 that includes tote bags, kitchenware and blankets. Proceeds will benefit Feeding America, a non-profit with more than 200 food banks across the country. Two of the items in the collection. I like this one, it is good to see Target offering a collection specifically tied to a charitable initiative. Also today, a quick glance at the big winners of this year’s Cruft’s International dog show. Cruft’s is a little different from our annual Westminster show, among other things, they include additional competitions, like “Flyball.”. Two breeds we’re partial to, Scotties & Schnauzers. As always there were other events, many not involving the show ring. Below we see a Yeomanry Infantry group donating a big check to Hounds for Heroes, the organization provides dogs for disabled British military forces. Below we see the big winner, a Basset Griffon Vendeen (Petit) named Jilly, with handler Gavin Robertson. “Big winner” is an accurate appelation, more than 27,000 dogs were involved in this year’s show. It must be the season for dog shows, we actually went to one ourselves a few weeks back. 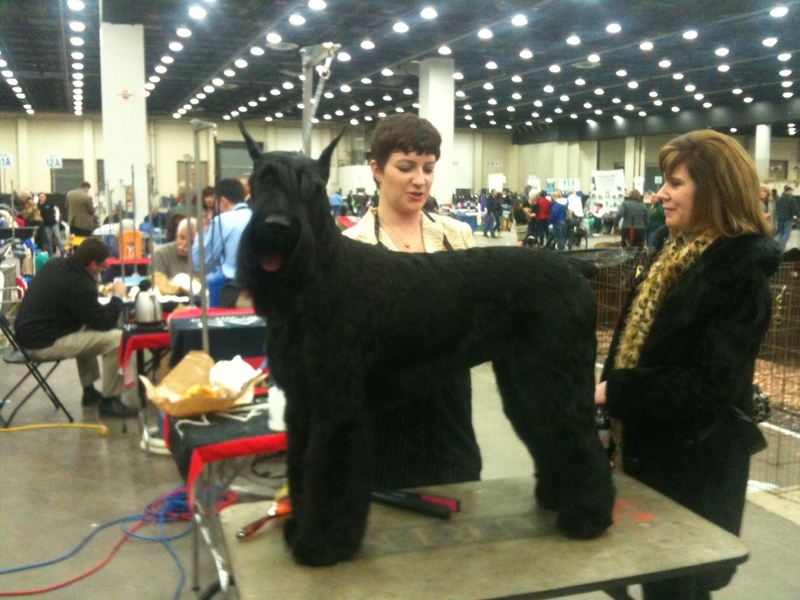 That is a giant schnauzer, like our boy Phred, the pooch we had before Silly Tilly. It wouldn’t be out of the question to see another schnoozer at The Prepatorium. Hello-Hello, happy middle of the week. The news come via an Us Weekly report. Gwyneth Paltrow is giving up showbiz for, well, business. A source says that after the 33 Dias actress wraps her next few films, she will focus on growing her lifestyle website, Goop, and the fitness company she co-owns with trainer Tracy Anderson. In fact, the headline to the story claims Ms. Paltrow wants “an empire like Jessica Simpson.” If so, she has laid the groundwork well. Her online presence continues to grow: the GOOP lifestyle website and newsletter she founded has a strong Facebook following, Ms. Paltrow’s Twitter followers number 1.4 million+, there are multiple other GOOP/Paltrow social media accounts and apps. Below, items from the Veronica Beard/GOOP collaboration. I doubt Ms. Paltrow would give up acting entirely, foreverandever, so to speak. One thought that occurred to me this morning after reading more on the continued Macy’s vs. JC Penney lawsuit (those pesky Martha Stewart products! ): Macy’s should hire Ms. Paltrow to fill the Martha Stewart role, it would be perfect. Also today, an interesting take on monograms. J. Crew asked menswear expert and GQ editor Glenn O’Brien to write a piece on monograms. WITH MORE THAN SEVEN BILLION PEOPLE on the planet, you have to make an effort to be somebody or else you’ll fail on Facebook, get dropped on Twitter. Your name may be forgotten, your number lost. The solution to identity in an age of teeming masses is setting yourself apart stylistically. Consider the venerable monogram—it’s a traditional nicety that has long been a mark of personal style. Below, some of Mr. O’Brien’s handkerchiefs. We live in a landscape that is covered with corporate logos. If individuals are going to compete today, we need logos too. Why limit monograms to your initials? My friend Andy Spade wears shirts monogrammed EDW. He bought them in a thrift shop and liked the randomness. And think of Elvis Presley, who had TCB (“Taking Care of Business”) monogrammed on everything. Three letters can spell out your interests and attitudes: FYI, TKO, BYO, ETC, IPO? With that we say G’bye until next time, may all of your monograms be in the proper order! Hello-Hello, happy new week to everyone, hopefully those with an extended weekend are enjoying every minute of it. Today we look at a storied brand, one more than a few preps grew up wearing. This image offers a clue. 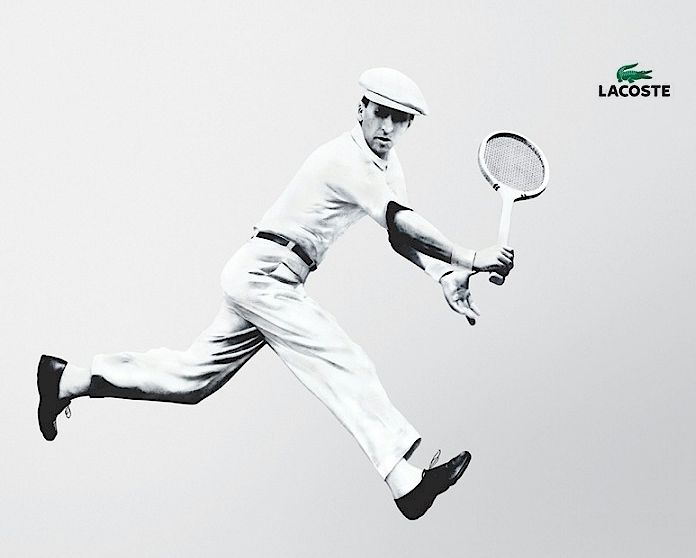 Many will recognize René Lacoste, inventor of the modern tennis wear now known as a ‘polo shirt’ and eponymous company. It was 1927 when the tennis great created his first shirt for wear on the court, 1933 when the company was formed, called La Société Chemise Lacoste. As Women’s Wear Daily notes, that was the year seeing “Industrial production of the first Lacoste shirts, in particular the white “petit piqué” cotton polo shirt, code-named the “L.12.12.” Below we see the tennis great in 1927. The crocodile logo on his shirts is regarded in branding history as the first instance of a visible logo, although, ironically, it was criticized as vulgar at the time. And while the concept of product placement had not yet been invented, René Lacoste gave his crocodile shirts to friends to wear on the courts, building brand awareness. Below, a 1993 print ad. 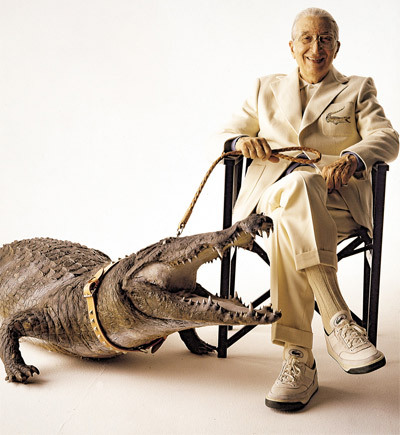 One of the more fascinating aspects of the logo story: check out the size of the animal on Mr. Lacoste’s jacket. As the company celebrates its 80th anniversary it is doing very well. Its expansion has continued throughout the decades. Below, the brand’s Paris flagship store on the Champs-Elysées. The company continued to innovate, Mr. Lacoste designed many inventions, including a steel racket, ball launcher and other items. Below, one of my favorite photos of the tennis champion and businessman. 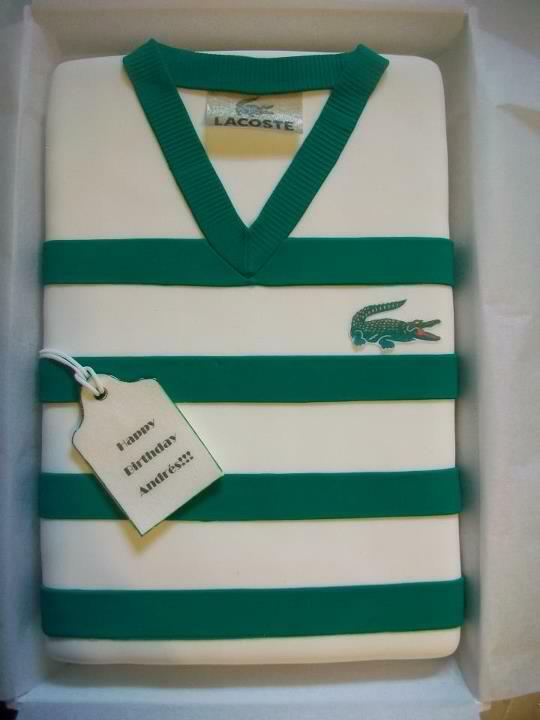 Lacoste also pursued philanthropic efforts as well, for the company’s 60th anniversary they donated more than $1 million to a campaign trying to eradicate multiple sclerosis, more recently they have supported the BCRF (Breast Cancer Research Foundation) and efforts to save endangered alligators, crocodiles. Over the years the brand has not lost its sense of whimsy, below we see its Valentine’s Day greeting appropriately rendered in red polo shirts. Last week Lacoste showed it’s fall ready to wear collection. There is little that held appeal for your faithful scribe. In honor of the 80th anniversary Lacoste is offering limited edition polo shirts, like this one with the number 8. 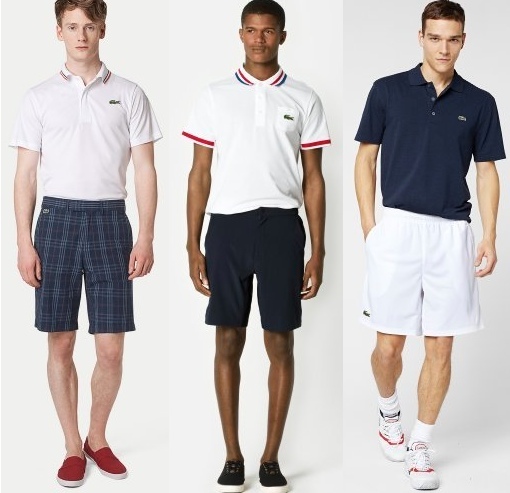 Lacoste still offers tennis togs, as well as swim, golf and other sporting apparel. Although much of the marketing is aimed at a younger customer. There are other initiatives in addition to apparel and accessories, like the Lacoste Lab. The brand continues its tennis roots as well. Its Lacoste Live collection is edgier, hipper. Online the company even has a section on envisioning the polo of the future. But there are still plenty of basics for those of us fond of the pieces that are the brand’s heritage. Many of the polo More from the spring assortment. It’s great to see the brand in a healthy position. I remain a fan, despite being a touch (cough-cough) beyond the demo Lacoste is pursuing. As long as they continue to offer quality merchandise at an acceptable price I’ll be happy to be a customer. And to think I was worried it would be hard to find an image of a birthday cake appropriate for the post. Hello-hello, welcome to a Friday at the Prepatorium, where after a week of this…. 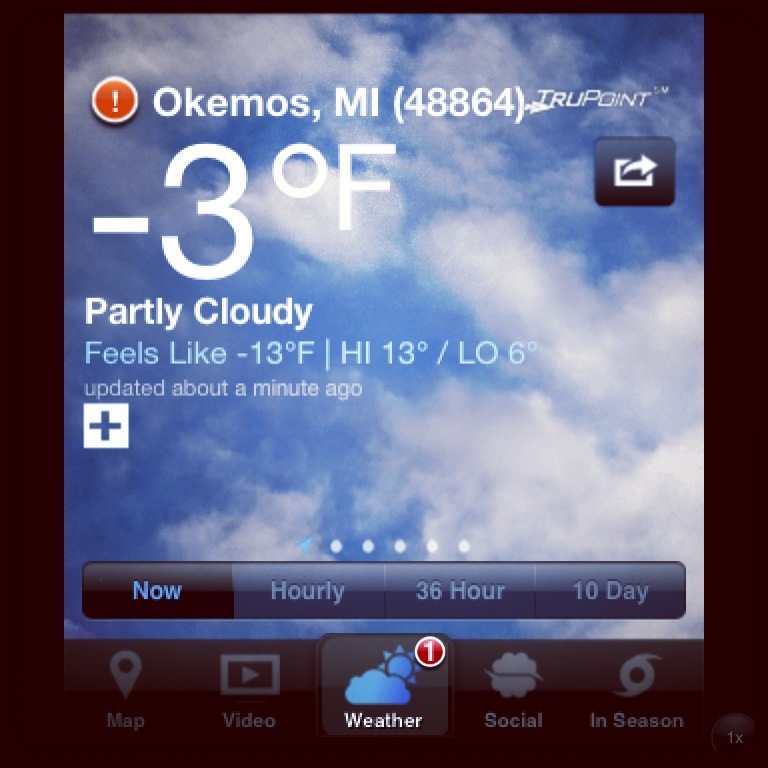 Anything sunny and bright is making us smile today. That brings us to our first topic, a lovely post from the good folks at Kravet about a ‘preppy modern office‘. Here is more from inspired.talk, Kravet’s blog. As temperatures continue their slow descent to zero in the Northeast, it seemed fitting to cast our eyes west to the fresh, fun office of Bravado Design in San Diego, California where they are certainly not bundled up in their warmest layers. The office, inspired by its owner’s lifelong love for Lilly Pulitzer, feels like a warm dose of sunshine. No matter which version of winter you’re currently experiencing, we feel certain this inspiring office will appeal to you. Enjoy! The previous space was modern, “more serious,” as Soldau put it. The redesign included white furniture, adding paint to dark stained walls, and freshening up the plain doors with accent paint and molding detail. With bright, citrusy fabrics from Lilly Pulitzer for Lee Jofa, the vibe is energetic and youthful. Reading about the office first thing this morning definitely brightened my day. You can read the entire Kravet post here, and/or learn more about Bravado Design here. Also on our hit parade today, a very quick peek at the upcoming Target collaboration with designer Prabal Gurung. A closer look at one of the dresses, this is one of the print ads you’ll see if you haven’t already. Pricing looks reasonable, although once again I wonder about a $199 price point at Targét. Here is some background on the collection as shared in Target’s news release. Below we show a minaudiere in the ‘Nolita’ print, it will be $34.99. The collection launches February 10 online and in-store. If you would like to look at the entire 80-piece line, Elle has the lookbook. Our final tidbit isn’t really “news,” it’s about products that have been available for several weeks. We’re talking about the ‘Miss Wu’ collection for Nordstrom by Jason Wu. Below, the ‘Belted Crepe de Chine Shirtdress,’ it is $375. If looking to expand my wardrobe this line holds far more possibilities than the Gurung collection, a function of the distinctly different style aesthetics of Prabal Gurung and Jason Wu. Of course, the Miss Wu prices are significantly higher. Above we show a silk Geometric Print Chiffon Blouse ($265), the Modern Weave Crop Jacket ($495) atop the matching Shift Dress ($425), and the Bow Back Cotton Topper coat ($595). That’s all for today, may the sun shine on your weekend! We’re back with a few tidbits today, the first: “Greetings From Lilly Land,” a lengthy review of the new Lilly Pulitzer book that ran in the Wall Street Journal last Friday. A quick refresher for anyone who may not be familiar with the recently published book, the official title is “Lilly: Palm Beach, Tropical Glamour, and the Birth of a Fashion Legend,” written by Kathryn Livingston. To my surprise, I learned that I kind of like her. Surprise because I grew up with my nose pressed to the window of Lilly Land, but I was looking out, not in, seeking freedom from Connecticut cocktail hours, rich people complaining that they were broke (“totally stoners”), mixed doubles in tennis, and porch parties where women wore hair pulled back as tight as the silk on Christmas-tree balls. Once in a while a man would wear a necktie as a belt, a Brooks Brothers buccaneer. 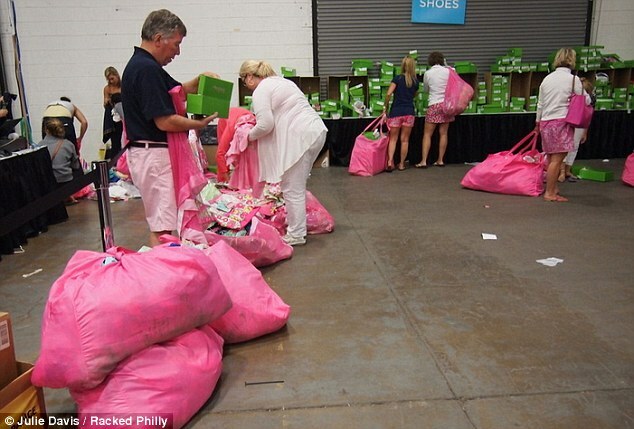 They should be warned that it gives short shrift to Lilly Pulitzer herself. Is the problem that she is not all that interesting? What they’ll get instead is a book that’s half society history—28 pages that take Miss Porter’s School back to 1843, 21 pages on the history of Palm Beach, and 53 pages taking the McKims, Pulitzers, Phippses, Guests, Carnegies and so on back to the 18th century. Yours truly has yet to read the book, but I very much enjoyed the review. Click here to read it in its entirety, it’s well worth the short investment of time. Today’s other topic, we offer a few gift ideas for the MOTH (Man Of The House) at your Palace. If helpful, all of the links up above go directly to the product and they all appear to be in stock. One item that didn’t quite fit in the Polyvore montage, another Consort suggestion, a Screwdriver Set at MOMA that he has, it has come in handy on more than one occasion. Our final offering today: a flash giveaway. (Is that even a term…?) At any rate, we just got these in yesterday and I love them. Pop over to the shop and peek at our Sloane Ranger collection, then come back and leave a comment telling us what item you would most like to receive or give. We’ll take comments until midnight Thursday and pull a winner Friday morning, with an announcement in Friday’s post.